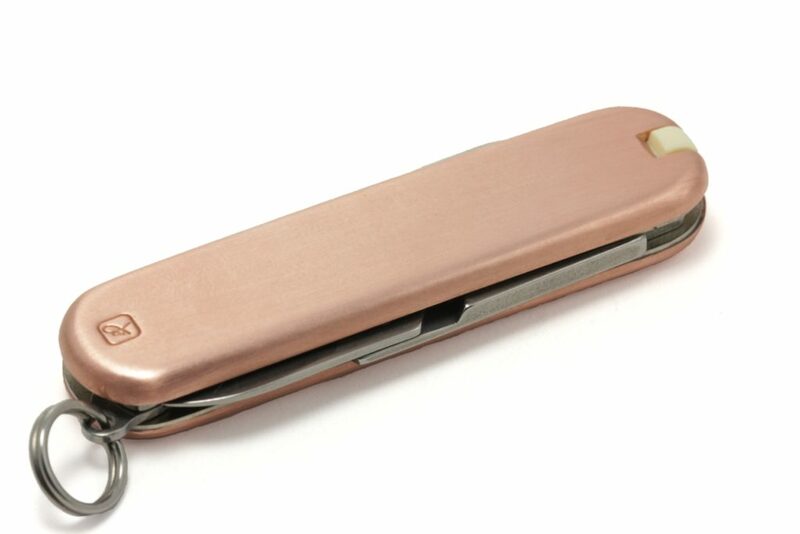 Custom pocket knife with handle made from 99% pure recycled copper with a satin finish. If you’d like to customize this pocket knife please contact me here . 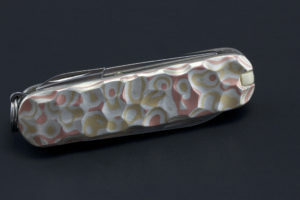 This is a brand new Classic Victorinox pocket knife with a copper handle designed by Jamie Feinstein Jewelry Design.